Hotel Olympic is situated in the heart of the city of Heraklion at one of the most known squares, Kornarou Square. Hotel Olympic addresses those who travel on business or wish to enjoy some of their vacation in Heraklion. 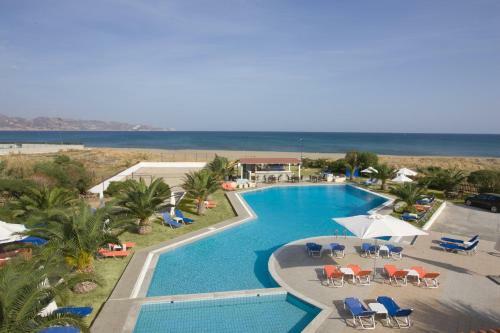 Just 3 km from Heraklion and only 10 metres from Amoudara sandy beach, Akti Corali Hotel features a large outdoor pool with sun beds and umbrellas. All rooms are air conditioned. 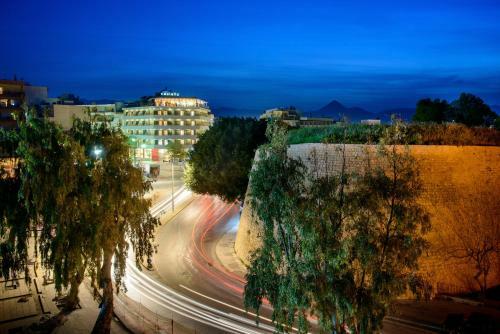 Within 100 metres from the city centre, Kastro Hotel is well-situated for exploring the ancient sites of Heraklion. It offers spacious, air-conditioned rooms with breakfast included in the rate. Just a short walk from Heraklion centre, Atrion offers elegant accommodation with free Internet access. 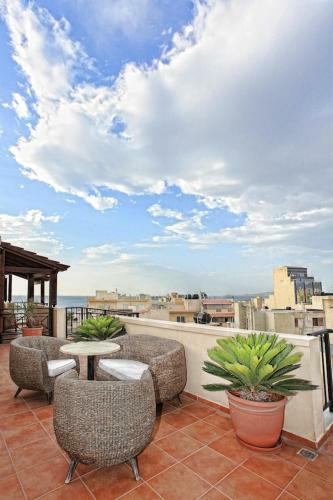 It has a restaurant, while it is a few metres away from Heraklion�s busy promenade. Just a stroll away from Heraklion port, Marin Dream Hotel offers a rooftop restaurant with panoramic views of the Venetian Fortress. Its rooms have a balcony and free Internet access. Marin Dream offers stylishly furnished rooms with wooden floors.